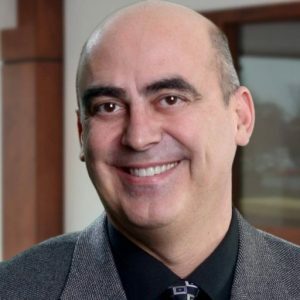 Steve Malik is a visionary entrepreneur with three decades of health information technology experience and a pioneer in patient portals, electronic health records, and full risk managed care systems. He is also the chairman and owner of the North Carolina Football Club (formerly Carolina RailHawks) based in Cary, NC, and playing its home games at WakeMed Soccer Park. Malik bought North Carolina FC in October 2015, fulfilling a longstanding wish of the fans to bring the team under local ownership. Malik’s arrival at the club marked a new era as it celebrated its 10th anniversary in 2016. Not only does Malik have deep ties to the Triangle area business community, he is also a passionate soccer fan having played in high school and coached at the youth level. His ambition is to bring the highest level of professional soccer to the Triangle. In December of 2016, Malik took the first steps to fulfill his vision by announcing a series of initiatives that would bring the highest level of professional soccer to the Triangle. Malik announced a brand repositioning with the name change to North Carolina Football Club, his desire to secure a Major League Soccer franchise for the Triangle, the intention to build a 22,000-seat purpose-built stadium and his plan to bring a NWSL First Division women’s professional soccer team to the area. On January 9, 2017 Malik announced the acquisition of the Western NY Flash of the NWSL bringing the team to the Triangle and renaming it North Carolina Courage. The NC Courage will begin play in April of 2017 at WakeMed Soccer Park. Currently, Malik is Executive Chairman of Medfusion, a Cary, NC company he founded in 1996 and re-acquired in August 2013. Prior to this role, he was Senior Vice President of Intuit, and President and General Manager of the Intuit Health Group, the company’s fastest-growing business unit. He led the business unit’s initiatives to strengthen the relationship between physician practices and their patients by making communication and the ability to accomplish key tasks better, easier, and more efficient. Malik joined Intuit in May 2010 following their acquisition of Medfusion. In 2010, he was a finalist for Ernst and Young Entrepreneur of the Year. Under Malik’s leadership, Medfusion has grown from a medical website development company to the leading provider of enhanced healthcare communication solutions. His vision created a portfolio of solutions that let healthcare providers offer superior service to their patients while improving office efficiency and generating revenue. The US government now requires Malik’s vision in legislation to digitize the industry and reduce costs. Malik earned a bachelor’s degree in business administration with honors from the University of North Carolina at Chapel Hill. He is the principle in a venture capital firm investing in software and environmentally friendly technology opportunities primarily in the Southeast US. Malik has 4 children and enjoys soccer, fishing, and sailing in his free time.